It’s time to turn the chaos in your bedroom into a sanctuary! 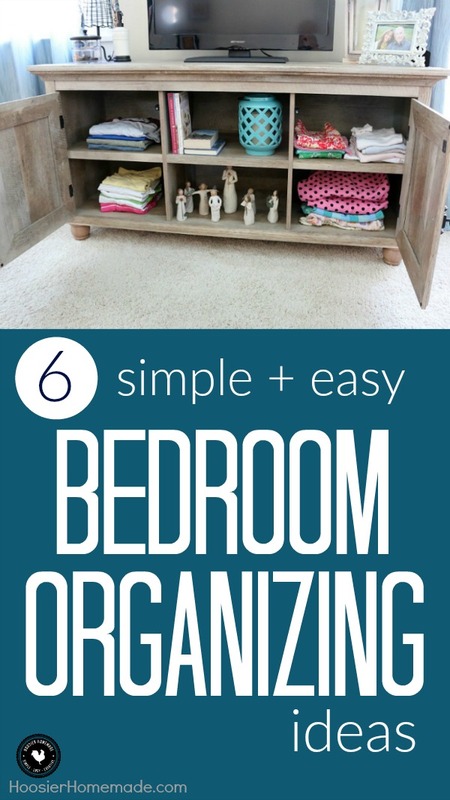 These 6 simple + easy Bedroom Organizing Ideas will save the day! And probably a little sleep too! It’s a New Year and the perfect time to get organized. I have noticed that one area in our home that goes unorganized is our bedroom. No one sees it and it’s just Doug and I in there, so I never saw a huge reason to keep it organized. However, I’m sick of the clutter and it is time we do something about it. Here are my best tips for organizing a bedroom. In the past, we have tackled our closet mess. 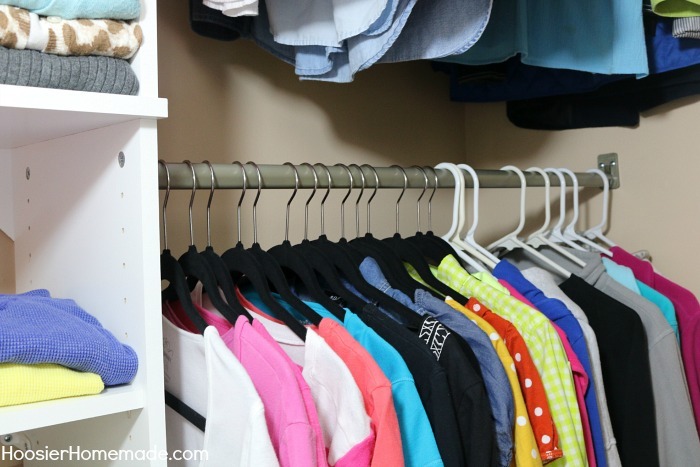 In fact, you can read our tips for organizing a closet. That was definitely a tough job to get done. The bottom line for the disorganization was too much stuff. We were able to find a closet solution that worked for us and we’re still holding true to it. Although, sometimes we still have to go in and do a bit of elimination, which is never fun or easy, but a necessary evil. I’m not sure how things tend to get under the bed, but that’s always one place that needs to be cleaned out on a monthly basis. Especially if you have pets, weird items end up underneath there. We love to use under our bed as a perfect storage opportunity. You can buy those nice long totes that can store off season clothing. Such a nice way to store things without having to put it in a basement or attic. I personally love switching out my wardrobe and organizing it into these totes. Super easy to do and easy on my body when the weather changes here in Indiana. I always tell myself this, especially as we age, I don’t need more stuff. In fact, I need less stuff. If you read my Love List from last week, you will probably be able to relate with my quest to become an essentialist. 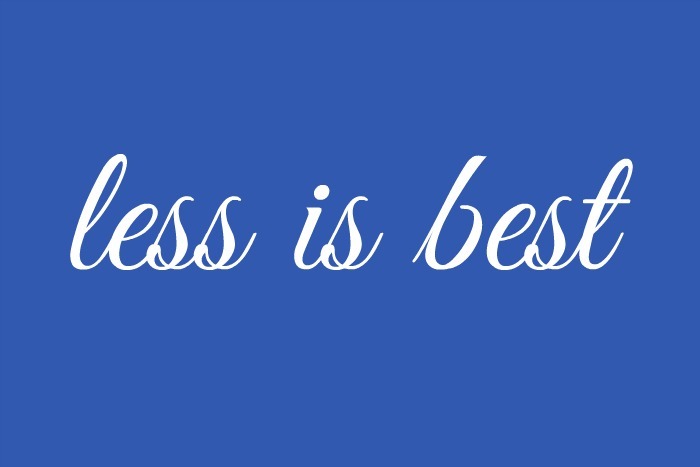 As you’re organizing your bedroom, think of the mantra “less is best.” Whenever I think I want to hold onto something, I talk myself into parting ways. I don’t need 15 sweaters or 30 pairs of shoes. I’m always happy to give them to someone else who has far less than I do. I have to admit that this isn’t always an easy process for me or for anyone else I know. A disorganized bedroom isn’t just due to too much stuff, in fact it can be to lack of “doing.” Because bedrooms are hidden off to the side and you don’t usually have people looking in there, it can be hard to stay motivated to keep it clean and organized. One thing I have been doing is setting a timer for 15 minutes and getting as much cleaning/organizing as I can done. Sometimes it’s more than 15 minutes and sometimes it’s less, but I always make it a point to do it. One of my goals for the future is picking out a good night stand. I need something that will help keep me organized. I’d love to put my nightly reading material and anything else close by without it looking like a messy array of trash. 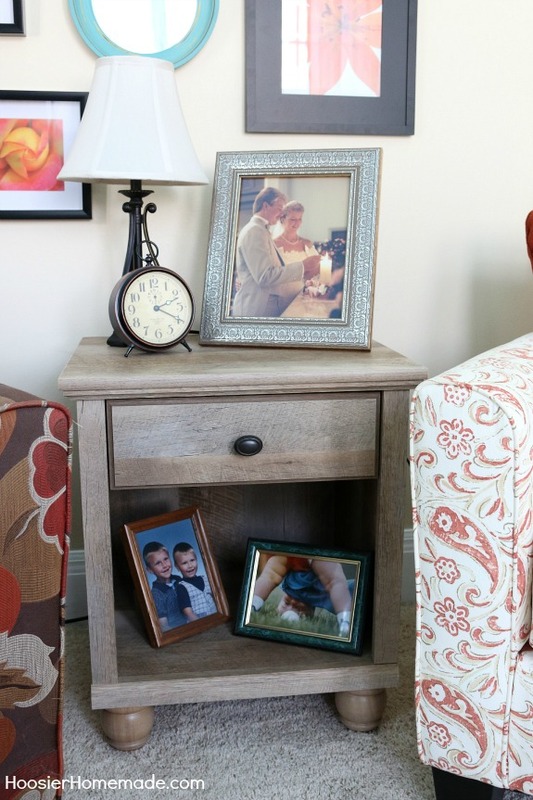 Picking a good night stand can help your bedroom stay organized. For some reason, I feel like my bedroom is way more organized if I color code stuff. I love putting the same colors together, it makes me feel super organized! You can color code almost anything, so it only makes sense to use this as a way to organize clothes, shoes, pants, and even socks in your bedroom. Organizing your bedroom is a good idea for so many reasons. It’s your sanctuary and where you sleep at night, it’s an oasis that deserves to be organized. I want to organize my closet !